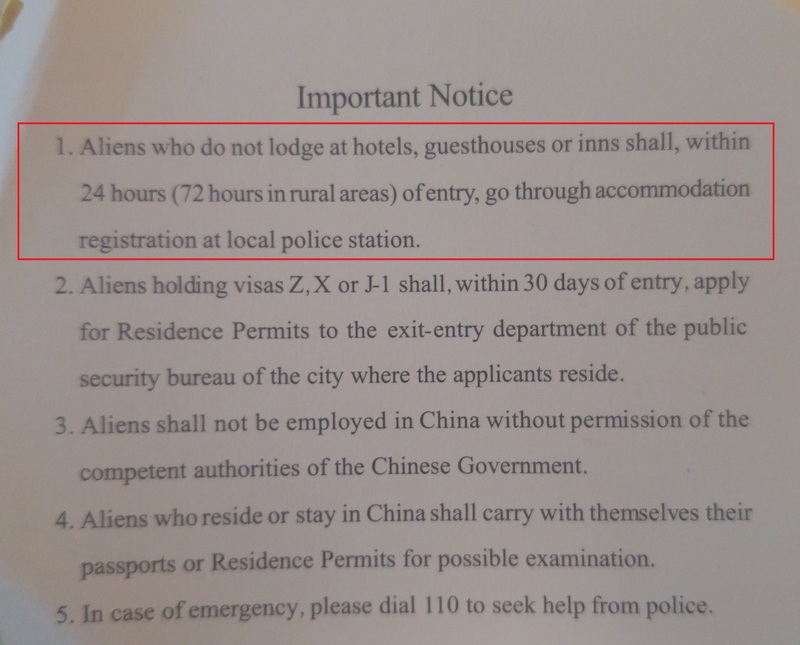 but it doesn't state the allowed amount of time to declare a change of accommodation. They fined me a few RMB recently because I just moved to Hangzhou. I was staying in a hotel while looking for an apartment. I found an apartment, signed the contract and paid 3 months rent upfront but I still remained in the hotel 2 more days then checked out and fully moved in the apartment. The police said I had 24 hours to report this new housing contract as soon as I signed it regardless of not yet checking out of the hotel. Not the answer you're looking for? Browse other questions tagged paperwork china accommodation regulations or ask your own question.